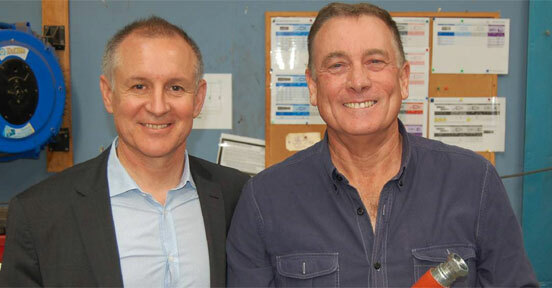 GOVERNMENT SUPPORT: Premier Jay Weatherill with Whyalla Hose and Fitting Services owner David Bruce during his visit to Whyalla on Monday. 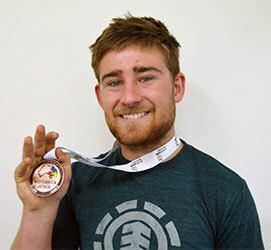 BRONZE: Whyalla Hose and Fitting apprentice Matt King took home a bronze medal at the WorldSkills national competition. 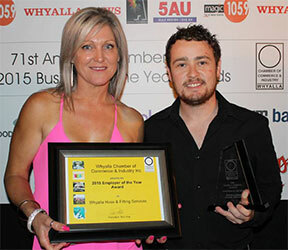 Whyalla Hose and Fitting Services have recently expanded their business. At the beginning of August 2010 they acquired 800 SQ/Metres of real estate next door to their premises in Norrie Avenue Whyalla. They have since transformed the building into an "Industrial gearbox refurbishment centre", providing WH&F an excellent service centre, capable of undertaking repairs to all types of speed reducers. 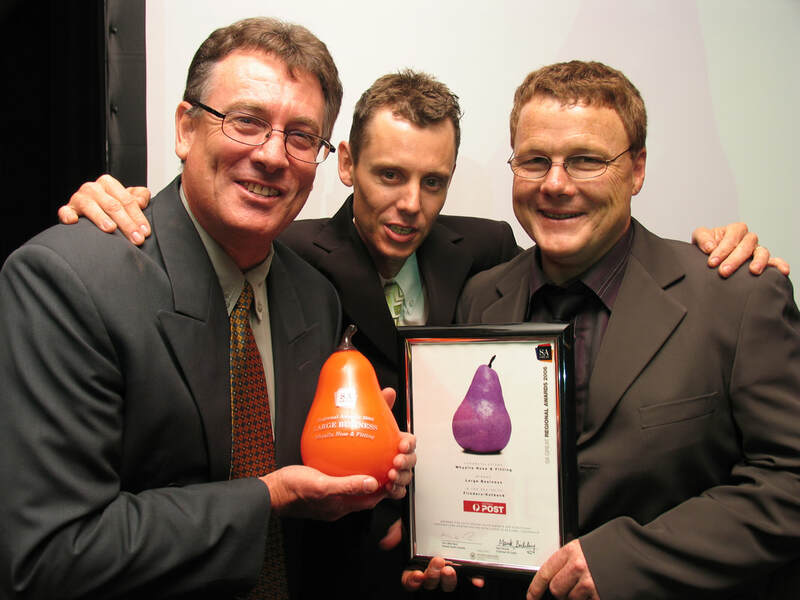 Whyalla Hose & Fittings Services came out winners at the recent SA Great awards in the category of Large Business in November 2006. 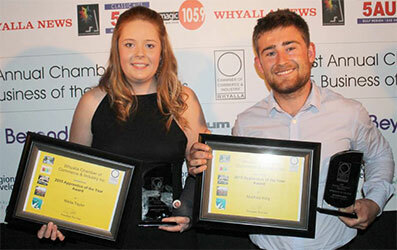 ​WHF co-owner David Bruce accepted the business award along with business partner Ross Campbell at the Flinders & Outback SA Great Regional awards.